This week, On the Gunmetal Armory, we get into the Survival Cache category. This is a subject that was suggested to us by our listeners. Granted, its been covered by other folks, but not us. So we’re going to tackled the subject of Survival Caches, Gunmetal Armory style! 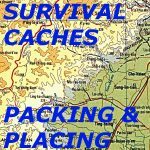 We are going to get into what you should put into your caches, different types of caches, “practice” packing and placement, building or buying the outer case, covering or other means of concealment. Listen to this broadcast or download “Survival Caches Packing & Placing” in player below! We will also do our usual segments including the “Product Pick Of The Week”, any “Ask Dane” questions that come in, and of course, we will also do a give away. 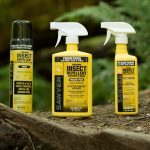 This weeks give away will be for a Sawyer Products bottle of Permethrin high strength insect repellent for clothing and gear. If you would like to check out the item we are giving away ahead of time, go HERE! Some say that the most important part of any survival cache is what you put in it, but what if you can’t find the darn thing? This and many other topics in the same genre will be covered this coming week on the Gunmetal Armory. See you all at 6pm Pacific as we travel deeper inside, and slightly off to the right, of the Gunmetal Armory. Previous: Previous post: What You Cannot Live Without!